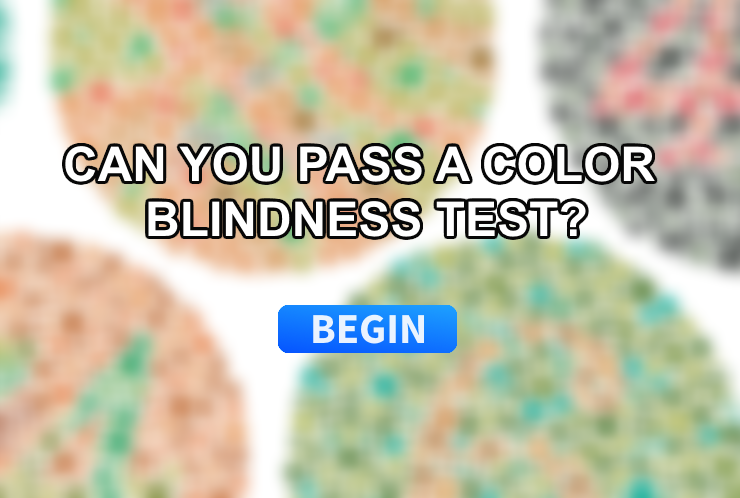 Can You Pass A Color Blind Test? There are 10 questions. Scroll after you answer. If you got a 9 or above, Great Job. Share on facebook. Can You Name These Basic Cooking Techniques? Can You Correctly Complete These Tricky Sentences? What Career Path Was Meant For You? How Good Is Your Memory? What Is Your Dog Personality? How Good Is Your Perception?